DEAD THREAD: In line to be killed..no interests and not reserved! DEAD THREAD ONLY 4 COMMENTS/ETC. FORM ME-CAN YOU PLEASE HELP ME HELP THESE 2 BABIES! 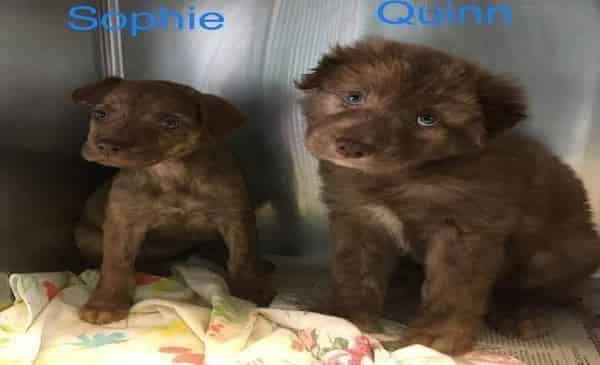 457380 Quinn and 457382 Sophie are two adorable pups that definitely do not deserve o be here. Quinn is so fluffy and cuddly while Sophie is not as fluffy but just as cuddly! They both have the most beautiful eyes and such a wonderful coloration. They are sure to stop you in your tracks! Quinn is a Chow Chow while Sophie is a Labrador Retriever blend, both are about 10 lbs and are only 2 months. 4 Responses to "DEAD THREAD: In line to be killed..no interests and not reserved!" Are Quinn & Sophie safe? Update please.